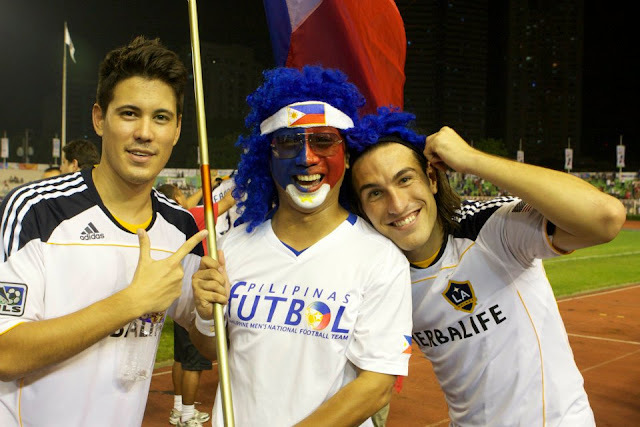 The LA Galaxy won vs. the Philippine Azkals, 6-1 in their friendly match Saturday, Dec. 3, 2011, at the Rizal Stadium in Manila. 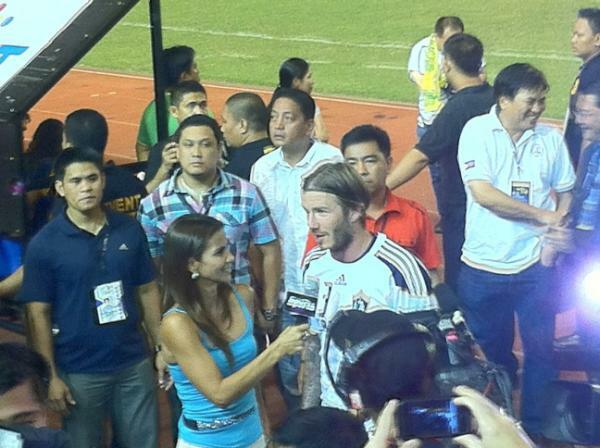 David Beckham scored the opening goal, a trademark curling right-footed strike from outside of the box in the 20th minute to spark the Galaxy to victory against the Filipino side that looked threatening on the first half. 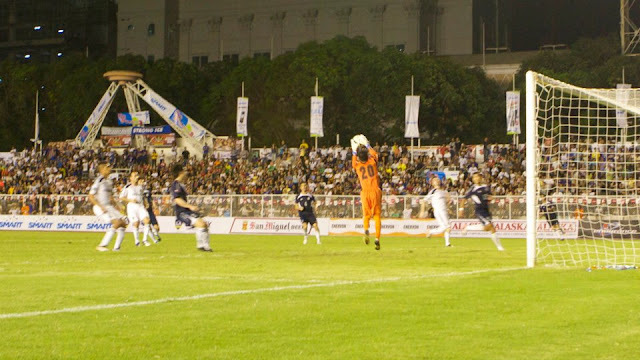 The huge crowd in Rizal Stadium in Manila appeared stunned, perhaps even awed, at the way David Beckham so effortless and so precisely curled the ball, finding the top left corner over the flailing arms of Azkals goalkeeper Eduard Sacapano. Mike Magee doubled the lead in the 28th with an expertly taken strike from just outside the box, following a brilliant layoff from captain Landon Donovan. 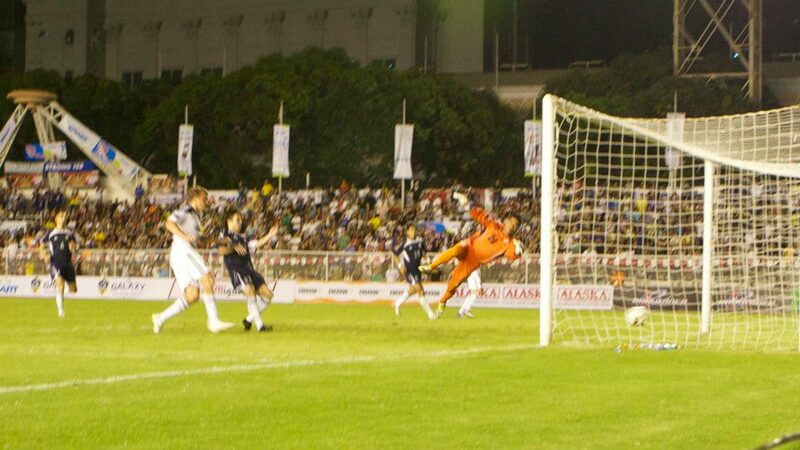 The Azkals’ only goal courtesy of Phil Younghusband got the loudest response though as the Filipino-British striker unleashed a left-footed strike. Irish international Robbie Keane also scored for the Galaxy, who extended a 2-1 halftime lead as the Azkals backline grew weary in the second half. Phil Younghusband scores what would be the lone goal for the Philippine Azkals against the LA Galaxy. 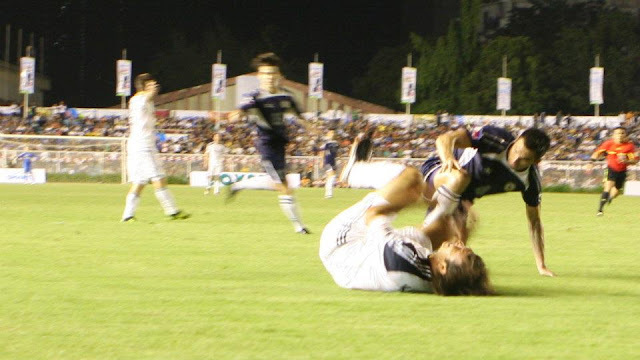 Keane struck in the 47th minute from a Beckham free kick, before Adam Cristman scored two goals, including in the 62nd minute off a feed from Donovan. 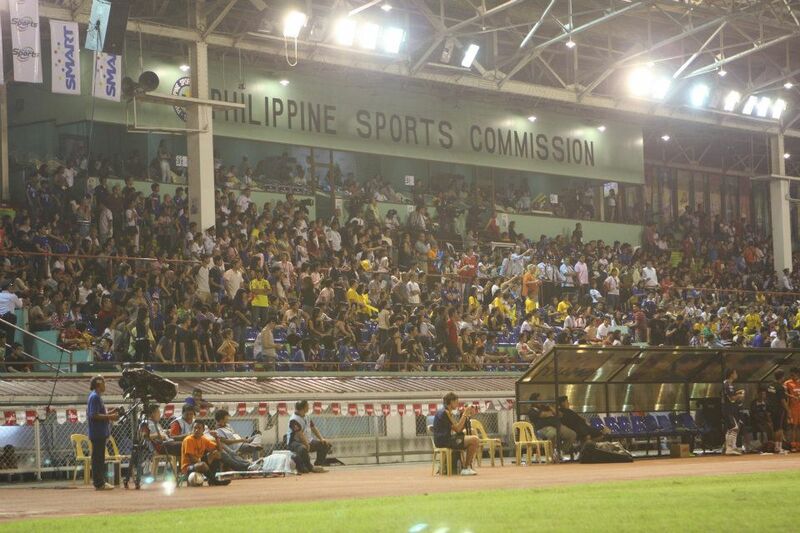 But the action on the pitch took a backseat upon the arrival of boxing champion Manny Pacquiao, who came into the stadium early in the second half to watch the game together with his wife Jinkee and their children. 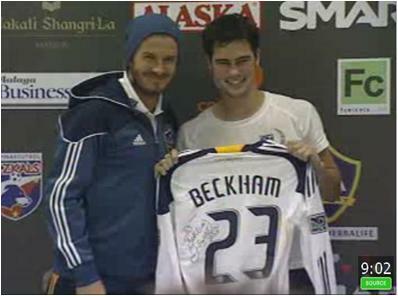 Beckham was substituted in the 75th minute. 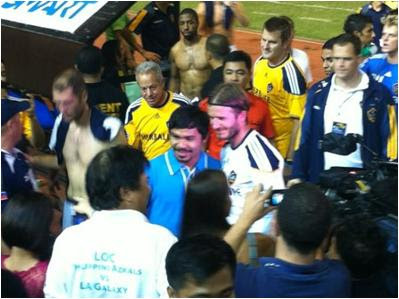 When he left the pitch, he approached Pacquiao at the VIP area to give him his jersey. 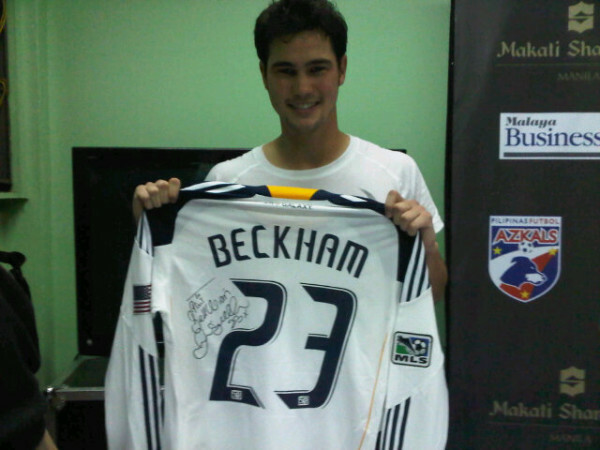 David Beckham also made good his promise to Phil Younghusband and gave him another of his jersey. what happened to you? are you sick? hoping you'll be fine. Wow! You are so lucky! 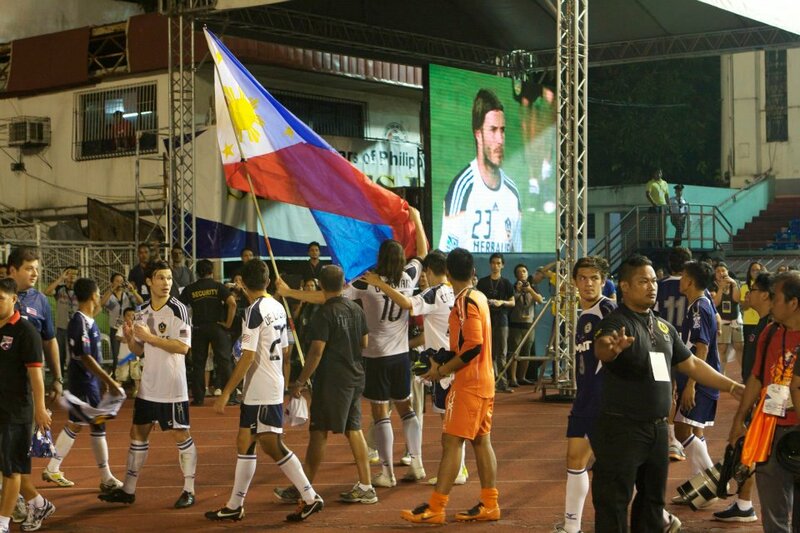 Gwapo ni Phil at James Philyounghusband! Thanks for dropping by idol Chyng!